Cheers to those who are aspiring to cut back on alcohol consumption! (There are so many reasons to stop drinking.) A toast to those of us on the teetotaler train for life! And for those just looking to celebrate without a hangover and fuzzy memories: bottoms up, this one's for you too. We proudly present our top 17 mocktails for every occasion. Not sure you can enjoy a good time without the booze? Workit Health has solutions for you. 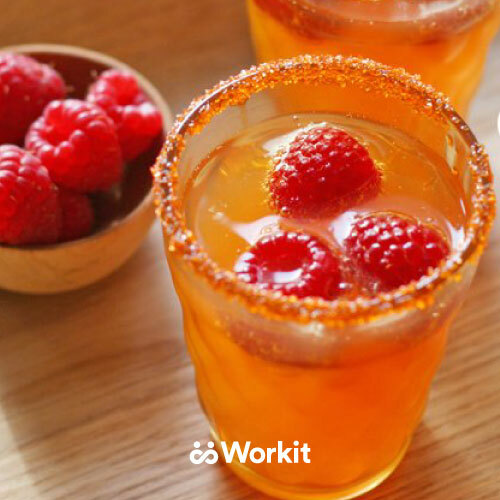 In the meantime, these mocktails are easy to make, easy on the eyes, and delicious. Fill glass 1/2 to 3/4 full with ice. Add ginger ale and grenadine. If desired, add lime juice. Stir & garnish with cherry and orange. Now say to yourself "A classic beauty deserves a classic drink." Nice. In 4 quart container, stir together cider, cranberry juice, ginger ale and orange juice concentrate. Now chill. For full recipe for this and many other punches, pay a visit to our gal Betty Crocker. 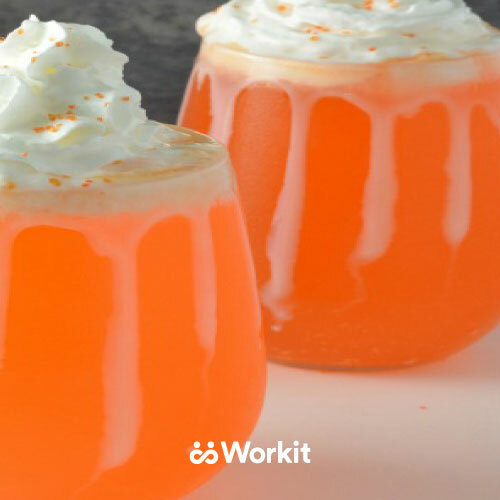 Over ice, pour 4 oz orange cream soda and 1 tbsp sweetened condensed milk. Stir gently. Top with whipped cream. Combine 2 cups each pineapple juice, mango puree, and coconut water. Blend with 8 cups of ice. A top 30 mocktail from Town and Country. All it takes is a little soda and peach slices and you're good to sip. Combine 4 cups of Coconut water, 2 thinly sliced cucumbers, 1/2 cup lime juice, 1/4 cup sugar, and 1/4 cup mint leaves. Let chill for 1 to 2 hours. Bumping up the sophistication here. Shake with ice, .75 oz Yuzu juice (err, lime is fine too), 1.5 oz. simple syrup, and 1 tablespoon of elderflower cordial. Garnish with shiso leaf (err, or any culinary herb, or skip it, whatevs). In a glass, muddle a few sage leaves into 2 tablespoons of honey. Squeeze in juice from lime wedge. Add sparkling water and ice to taste. Shake ice, 1/4 part vanilla syrup, 1/4 part mojito mint flavored syrup, 4 parts cream, and 1/2 drops of green food coloring. Pour and dribble with chocolate syrup. Break out the tropical punch! Seriously, this is the ultimate yummy indulgence of your inner child/wannabe in Hawaii right now. Find out how to make it here. Frozen soundtrack not included (thank goodness). Blend 4 cups of ice, 1 cup pineapple juice, 1/2 cup cream of coconut, 1 cup blue mountain dew, and 4 slices of pineapple. Much like playing the piano, this delicious plum-laden treat requires some serious time and skills (boiling, eek!). Here's the full recipe. We saved the most advanced for last. This recipe involves "fragrant lilac blooms" and "caster sugar". Good luck with that. Full recipe here. Last but definitely not least, if you're in a pinch, there is always water with ice. Not satisfied? Sprinkles in the cubes might do the trick (but warning, we did not test this one!). Ready to quit drinking? Workit Health can help. Newer PostStruggling with Alcohol? How to Know If You Should Moderate or Quit.